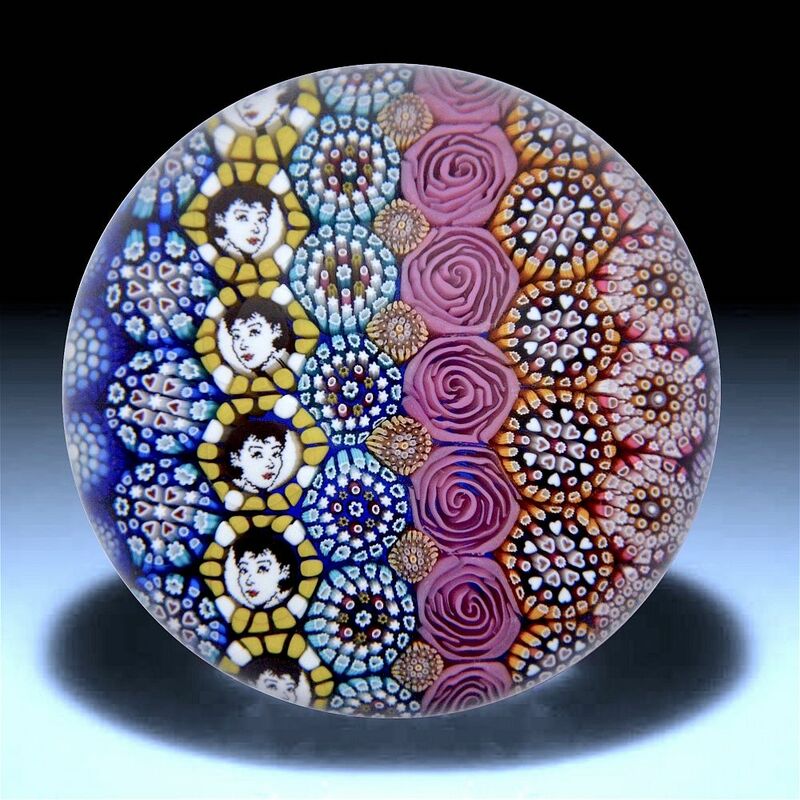 This is a fabulous paperweight again made by Michael Hunter for Twists Glass in 2016. 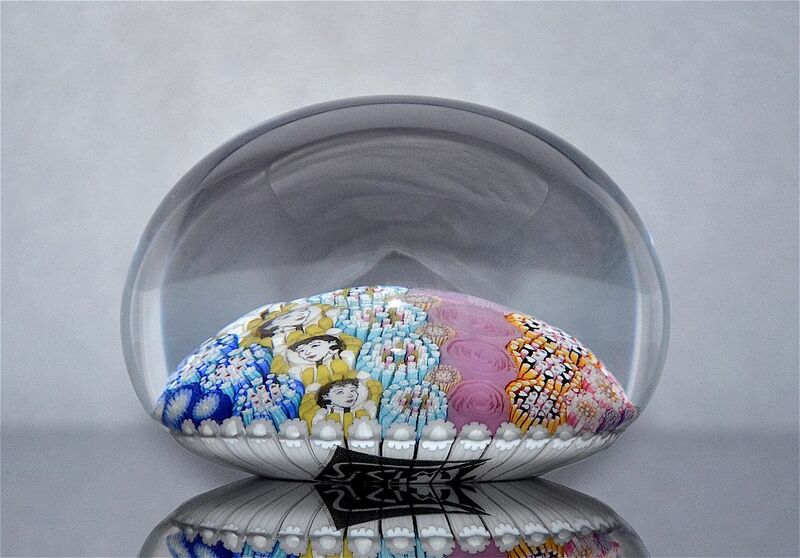 It comprises 9 vertical panels or columns, 8 of complex murrine canes and 1 of picture canes. Reading from left to right they are 4 blue and white murrines, 5 blue white & red murrines containing hearts & stars, 6 hexagonal Liz Taylor picture canes, 7 complex murrine canes continuing hearts & stars, 6 small "spacer" complex murrine canes, 7 pink roses, 6 complex murrine canes containing hearts, 5 complex murrine canes containing star canes and 5 small purple complex canes. The base is scratch signed "M Hunter Twists 16 1 of 1" and has Mike's personal "MH" signature cane and the Twists Glass studio label. It is presented in a white presentation box.